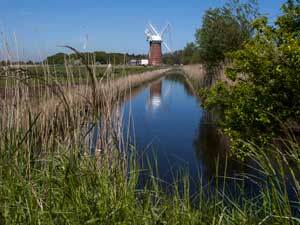 Tourist Information Centre Walk 32 at Horsey Mill01493 846346work Walking RouteHorsey Mill Walk is a 5 mile (8 kilometre) circular walk starting at Horsey Mill near Great Yarmouth. This walk combines dykes, the beach (with possible seal sightings in winter), dunes & farmland. The Poppyland tearooms will offer you a surprising stop for refreshments along the way or why not treat yourself to a drink in the Nelson's Head public house close to where you end your walk. There are limited opportunities for shelter along the route and no public facilities.